When I’m not board gaming I’m playing fantasy football. Both of my teams have underperformed this season, but it was nothing compared to the carnage of a recent session of Kaosball on the table top, which made my fantasy squads look like the ‘72 Dolphins. Let’s just say my initial foray into Kaosball was a nice learning experience. Actually, let’s never mention this game again and move on to this week’s news. 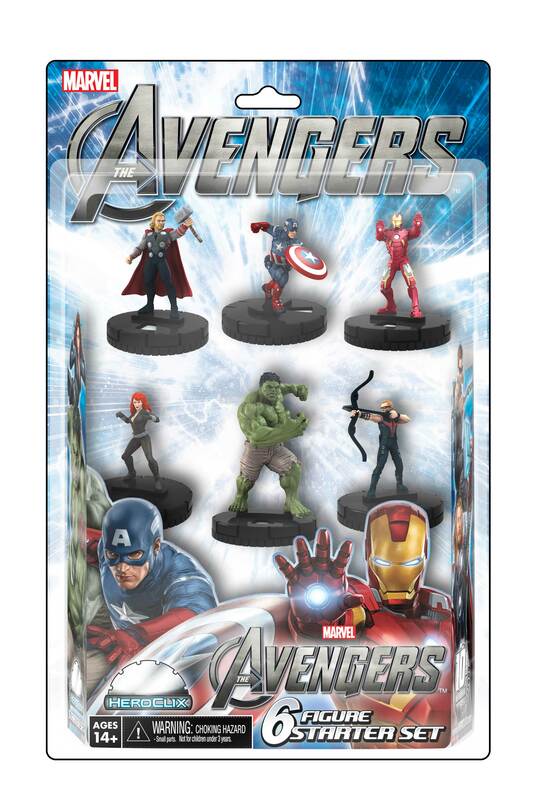 Marvel HeroClix: Classic Avengers Starter Set and Uncanny X-Men Booster Brick are being translated into Spanish. According to WizKids these superheroes en Español will be available worldwide next May. Time to brush up on my Spanish. Stronghold Games has announced that it will be releasing the Village series of games formerly published by Tasty Minstrel Games. The lineup includes Village, expansions Village Inn and Village Port, and a new standalone game, My Village. The games will be released between March and June 2016. Button Mash Games is bringing another of Matt Leacock’s cooperative games, Forbidden Desert, to the digital table top. Czech Games Edition has delayed its release of the digital version of Through the Ages. We’re now looking at a Spring 2016 release. The widow of Bill Markham is suing Hasbro, alleging that she did not receive $2 million of royalties from Life, the game she claims her husband created. Hasbro has countersued, stating that her husband did not have as much to do with the final product as she believed. Here’s a nice profile on Beth Sobel, artist and illustrator for Viticulture, Chaos and Alchemy, and Lanterns: The Harvest Festival. It should come as no surprise that your decision-making abilities while gaming are hindered by a lack of sleep. File this away when you need an excuse to game: a handy list of reasons why you should play a game with your partner. Shouldn’t more sports analysis use board game analogies? This writer used Catan to describe the NBA’s New Orleans Pelicans. Fun list of fake games from real TV shows.